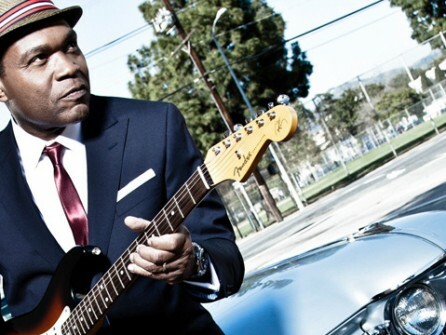 With 5 Grammy Awards, 15 nominations, millions of record sales worldwide, and thousands of sold out performances, rock blues icon Robert Cray is considered “one of the greatest guitarists of his generation.” Rolling Stone Magazine in their April 2011 issue credits Cray with reinventing the blues with his “distinct razor sharp guitar playing” that “introduced a new generation of mainstream rock fans to the language and form of the blues”. The oft-quoted line reads ‘that bluesmen improve with age’, and Cray’s evolving output through the next three decades gives weight to the theory. In 2000 he took home a Grammy for the album Take Your Shoes Off and went on to release two additional Grammy nominated albums Twenty (2005) featuring the poignant anti-Iraq war song of the same name, and This Time (2009) featuring the soul drenched favorite “I Can’t Fail.” The following years, the Robert Cray Band released the live album Cookin’ In Mobile(2010) and the critically acclaimed Nothing But Love (2012).